A Cantonment man was arrested after a Florida Highway Patrol trooper found him stopped on I-110 with meth and a meth how-to book. William John Hubner, Jr. age 56, was charged with DUI, possession of methamphetamine with intent to sell, manufacture and distribute, possession of drug paraphernalia and possession of controlled substances without prescriptions. 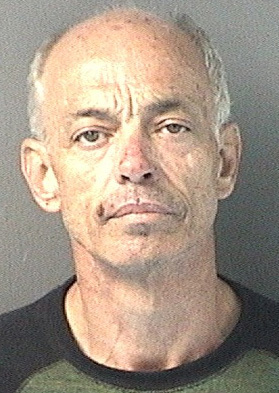 Hubner was booked into the Escambia County Jail with bond set at $259,500. About 2:04 a.m. Saturday, the Florida High Patrol received a call of a suspicious vehicle stopped on I-110 at the 4.5 mile marker. The trooper discovered Hubner was “impaired on several different controlled substances”, according to a FHP report. As the vehicle was being searched, the trooper discovered several bags of methamphetamine, drug equipment, several plastic bags, as well as a book on different meth weights and manufacturing percentages. The FHP said Hubner was manufacturing and selling meth out of his vehicle. 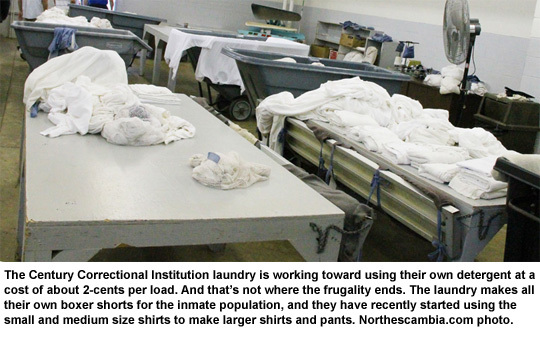 Florida inmates are sewing their own clothes and will soon start washing dishes by hand in sinks they’ve built themselves. “I’m not disparaging those that are there working. We need them. But when NASA wants to service the international space station they turn to the private sector. When we landed a man on the moon that was a private company. I think our governor’s right on target,” Altman said. Local “America’s Got Talent” sensation Chloe Channel has joined the cast of Kenny Rogers hit musical “The Toy Shoppe” at the Starlite Theatre in Branson, Missouri, opening November 1 for this Christmas season. “I am really excited to be a part of all this. It’s going to be amazing!” said Chloe, who will do 60 shows by December 21. 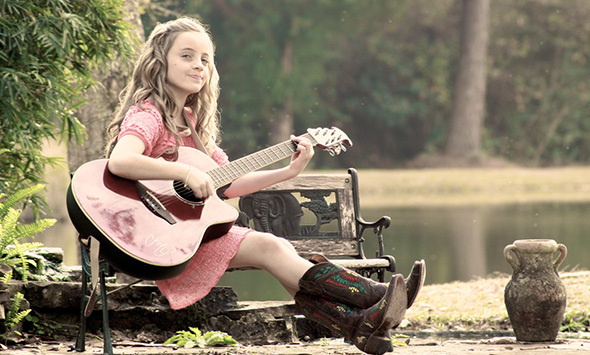 The show, written by Kenny Rogers and Kelly Junkermann stars country sensation Billy Dean. “The Toy Shoppe” is a place where toys come to life and children gather to hear owner Hank Longley tell stories. The audience joins Hero the Dog, Cheeseball the Mouse, Bruno the Bear and Billy Dean as Hank Longley in this story of love, faith and appreciation for the value of every individual. The story is full of old-fashioned values and is great entertainment for the entire family. Finding new talent has always been a trademark of Kenny Rogers shows. Garth Brook’s first national tour was opening for Kenny Rogers at Christmas. 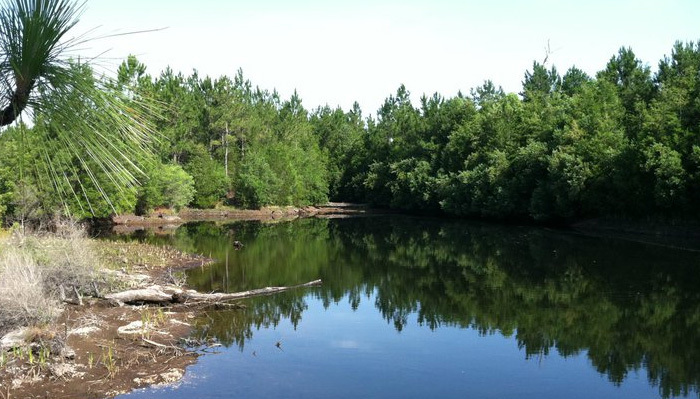 The Poarch Band of Creek Indians, winners of the 2012 Helene Mosley Treasure Forest Award, are inviting landowners from Alabama and Florida to tour their forest on Thursday, October 3. The Helene Mosley award active since 1977 selects landowners who have gone above and beyond in conducting outstanding multiple-use forest management. The field day will be an excellent opportunity for outdoor enthusiasts including landowners, hunters, and foresters interested in managing forestland for multiple uses. Attendees will enjoy an outdoor experience touring the 6,500-acre reserve via truck drawn trailers. In addition to a fun day in the outdoors, the tour will feature five educational stops. Speakers will address a wide range of multiple use topics with management applications and associated economic considerations. Tour stops will include managing for native edible forest plants, maintaining or improving water quality, selecting and planting native understory plants, gopher tortoise and box turtle management and longleaf establishment. Expert speakers from a variety of agencies and the professional forestry community will pass on their knowledge and experience through these outdoor demonstrations. Registration is free and includes lunch. The event is from 8:15 a.m. until 2 p.m. For more information, to register and directions contact the Escambia County (AL) Extension Office at (251) 867-7760 or email kellewi@aces.edu. About one in six customers of Citizens Property Insurance Corp., fewer than anticipated, should receive letters next week telling them they are being shifted to private insurance carriers. And the state-backed insurer won’t know until early December how many of those policyholders will want to go with the new companies or return to Citizens. A total of 205,736 policies, including 31,005 coastal accounts, are being picked up by 10 different private carriers, a little more than half the 390,897 approved for the latest Citizens depopulation effort by the Office of Insurance Regulation in August. Citizens President Barry Gilway, who told legislators this week that the agency could fall below the 1 million policy mark early next year, was hoping more policies would have been shifted to the private market in this round of the ongoing takeout efforts. “Today’s news was somewhat disappointing but we will still have an exceptional result if we meet those numbers,” Gilway said in a news release Friday. Gilway told lawmakers this week that typically about 30 percent of policyholders reject the takeout offers. The private companies collectively made 328,343 requests for policies, according to numbers released Friday, but many of the requests were for the same policies. A pre-set computer algorithm divided up the overlapping policies among the companies. Citizens, with 1.23 million policies as of Aug. 31, is down from a bloated 1.5 million policies a little more than a year ago. With the depopulation movement championed by Gov. Rick Scott and legislative leaders, the company hasn’t been below the 1 million policy mark since the middle of 2006. Gilway said private carriers have already started lining up for the next round of takeout requests in December, with up to 200,000 policies possibly being acquired in January and February. For those people impacted in the current round, policyholders shifted to new companies should receive notices next week from one of the 10 approved companies, followed by “encouragement” letters from Citizens, telling them they will be shifted Nov. 5. Those customers will have 30 days following their policies being acquired to decide if they want to stay or return to Citizens. The insurance companies are: Florida Peninsula; Heritage Property & Casualty; Homeowners Choice; Southern Fidelity; Southern Oak; Tower Hill Preferred; Town Hill Prime; Town Hill Signature; United Property & Casualty; and Weston. Escambia County Area Transit (ECAT) began its Classroom on Wheels program Tuesday, providing presentations and educational tours of the ECAT facility to all public, private and homeschooled students in Escambia County. Throughout the tour, students will learn about ECAT services, receive a complimentary souvenir and have an opportunity to ride an ECAT bus or trolley. In addition to Classroom on Wheels, ECAT offers a “How to Ride ECAT” information session that will teach Escambia County residents where to access the bus and what locations ECAT travels. 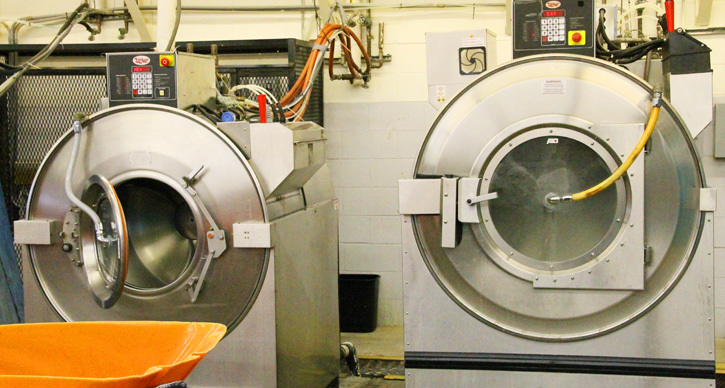 To schedule a tour or for more information, please contact ECAT at (850) 595-3228. WO1 Casey B. Wilcoxon, United States Army, completed the Initial Entry Rotary Wing Aviator Course and was graduated as a pilot from the US Army Aviation Center of Excellence at Fort Rucker, AL. 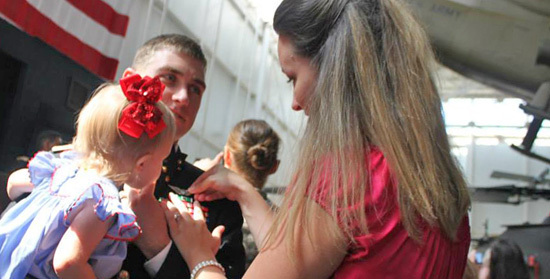 His wife, Kelley, pinned his new wings onto his uniform in a ceremony on September 19, 2013. 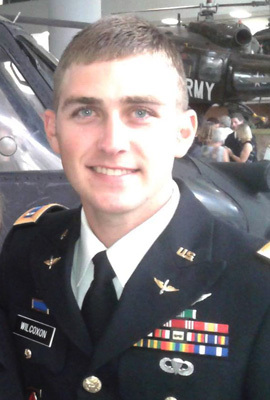 Mr. Wilcoxon has been in the Army for seven years, formerly as a UH 60 Blackhawk mechanic, having achieved the rank of Sergeant prior to being commissioned as a Warrant Officer. Casey and Kelley (Parham) are 2006 graduates of Northview High School. They have two daughters, Kali and Kami. The Wilcoxons will be stationed at Ft. Bragg, NC, where he will fly the UH 60 A/M Blackhawk helicopter. Casey is the son of the late William B. Wilcoxon of Century and Erbie and Pamela Pritchett, also of Century and is the grandson of the late John Wilcoxon and Grace Wilcoxon of Century and James and Mildred Lambeth of Flomaton. Pictured top: Casey Wilcoxon’s wife Kelley pins his new wings as daughter Kali looks on at Fort Rucker. Submitted photo for NorthEscambia.com, click to enlarge. Northwest Escambia hosted Uriah Saturday, with a clean sweep for the NWE Eagles. Northwest Escambia broke Uriah’s undefeated record in a nail-biter game ending 31-25 in overtime. Zyonne Wesley led the way with five rushing touchdowns. Liam Hatcher, Jackson Simmons and Wesley all had positive rushing yards. Wesley, Simmons, Easton Odom, Jackson Bridges, and Bryce Stabler led the defense late in the game. With the win, NWE is in a tie with Uriah in the Western Division of ERC Football with a 3-1 record. The NWE Sophomores defeated Uriah 42-6. TJ Wright scored three touchdowns, and Kaden Odom scored two touchdowns, including one over40 yards. Nolin Godwin and Travis Scott both scored a touchdown. Extra points were scored by Aiden Broadhead, Wright, Godwin and Arquavian Smith. 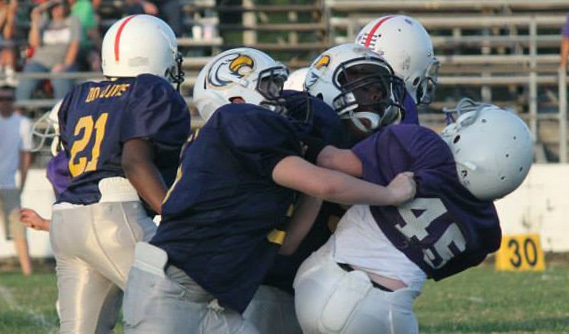 The NWE defense played a strong game with big stops made by Luke Bridges and Nathan Chavers. Braeden McGhee and Smith both recovered fumbles. 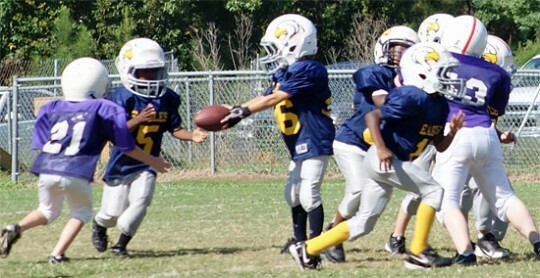 The NWE Juniors beat Uriah 40-6. Jayden Jackson scored two touchdowns. 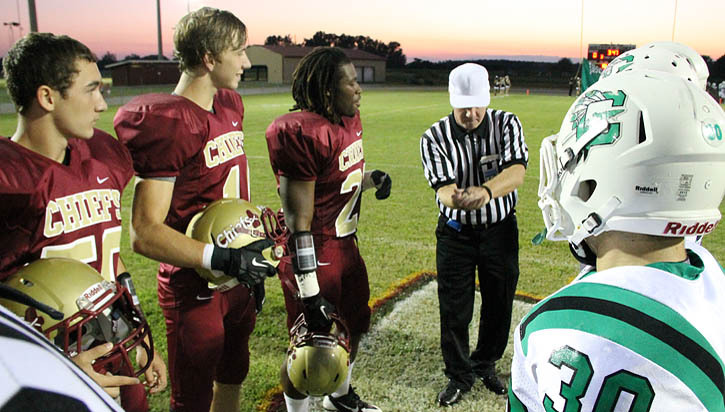 Jacob Lee, Logan Bryan and Jaden Cunnigham scored one touchdown each. Michael Merchant, Dariontae Richardson, Jamarkus Jefferson and Jaheem Durant all scored extra points. Travis Nelson, Jaxon Singleton, Tanner Boone, Chase Cloud, Levi Kirkpatrick and Cody Thomas all had positive rushing yards. 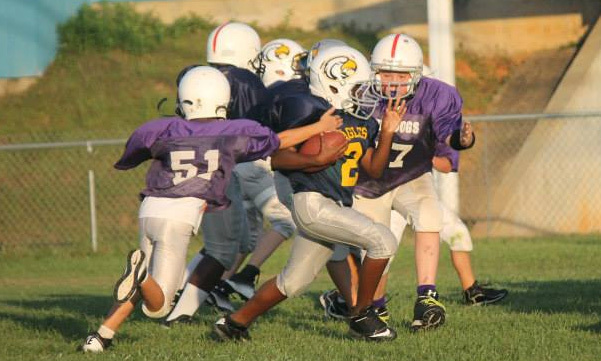 Key defensive plays were made by Tyler Cloud, Keaundre Richardson and Jayden Jackson. Jackson intercepted a pass and ran 40 yards for a touchdown. The Northwest Escambia Seniors shut out Uriah 45-0. Rushing touchdowns were scored by Aunterio Minor, Trent Kite and Keaton Solomonson. Both Seth Killam and Cameron Cloud threw touchdown passes to Jay Helton, Kite and Solomonson. Tyrese Smith had nearly 50 yards rushing. Johnathan Windham had a fumble recovery and four sacks. Cody Edwards and Trent Peebles both made stops in the backfield on defense. Northwest Escambia will travel to Excel on Saturday. A Tallahassee federal judge has rejected a key part of a new state medical-malpractice law, saying it conflicts with federal requirements designed to prevent the improper disclosure of patients’ health information. The ruling by U.S. District Judge Robert Hinkle came less than four months after Gov. Rick Scott signed the law and was a blow to groups such as the Florida Medical Association, which lobbied heavily this spring for changes in the medical-malpractice system. Meanwhile, the Florida Justice Association trial-lawyers group had long argued that the law would trample on patient privacy. The case focused on part of the law that would allow what are known as “ex parte communications” in medical-malpractice cases. In such communications, for example, defense attorneys representing a doctor accused of malpractice could get personal health information about the patient involved in the case. That information could come from other doctors who treated the patient, and disclosure could occur without the patient’s attorney being present. A spokeswoman said that the FMA, a politically influential physicians group, was reviewing Hinkle’s order. In the past, supporters have argued that ex parte communications would give defense attorneys access to information that plaintiffs’ attorneys already can review. Along with saying that is a fairness issue, they contended the information could help defense attorneys make decisions more quickly about whether to settle or proceed with cases. The FMA and allied groups made a top priority during this year’s legislative session of passing a medical-malpractice bill. The final version included the ex-parte communications issue and also placed new restrictions on expert witnesses in malpractice cases. The expert witness issue was not part of the case before Hinkle. Immediately after the medical-malpractice law took effect July 1, lawsuits were filed in state and federal courts across the state on behalf of people who were considering whether to pursue malpractice cases. 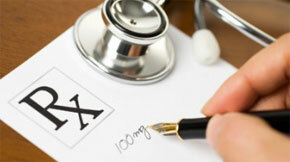 The lawsuits attacked the ex parte communications issue. The plaintiff in the ruling was identified as Glen Murphy, who alleged negligence by defendant Adolfo C. Dulay, a physician, according to the ruling. The state intervened in the case to try to defend the law. Here is a district by district look at last Friday night’s high school football scores and this week’s schedule. Pictured top: Last Friday night’s coin toss as Northview hosted Choctawhatchee. The Chiefs begin district play this Friday night as they travel to Jay. NorthEscambia.com photo, click to enlarge.